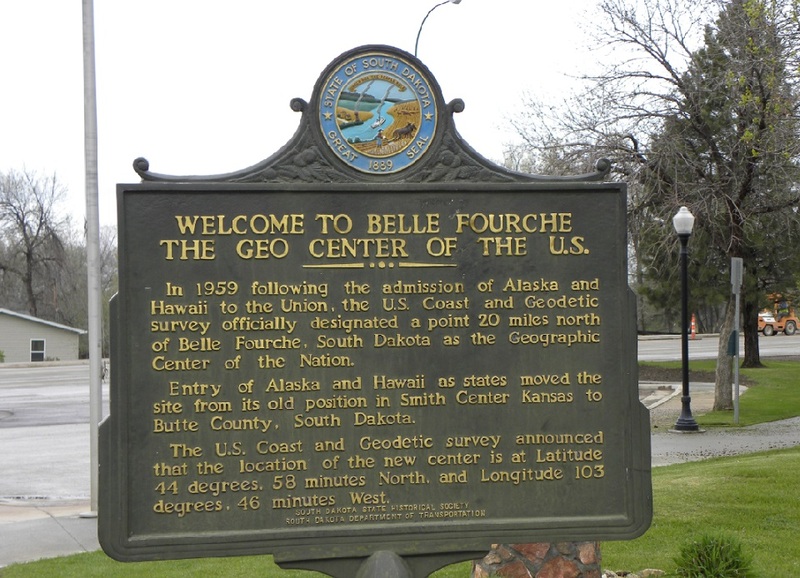 The designation for Belle Fourche as being at the Geographical Center of the United States came in 1959, just one year after Castle Rock had received the same designation. 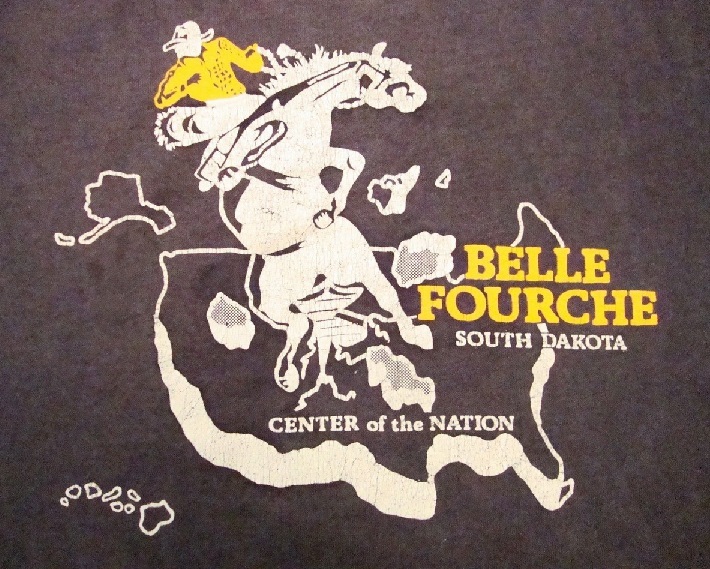 The shift from the Castle Rock position to the Belle Fourche position was only 6.64 miles to the west, but many felt the location would be better designated as being at Belle Fourche since Castle Rock was already becoming a ghost town. The new location came as a result of the addition of Hawaii as a state. 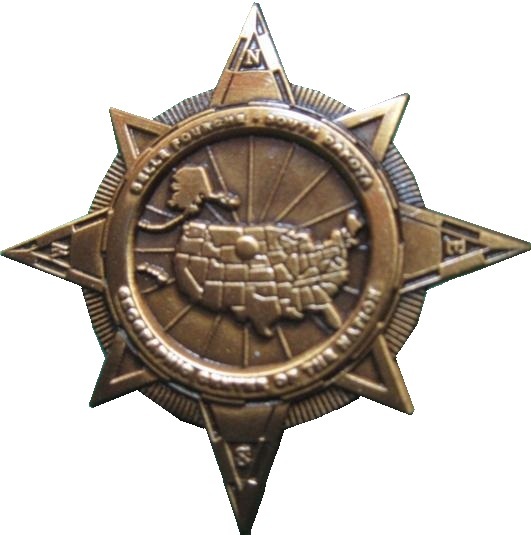 The designation at Castle Rock had come with the addition of Alaska in 1958 which prompted the major shift from the long-held location at Lebanon, Kansas. 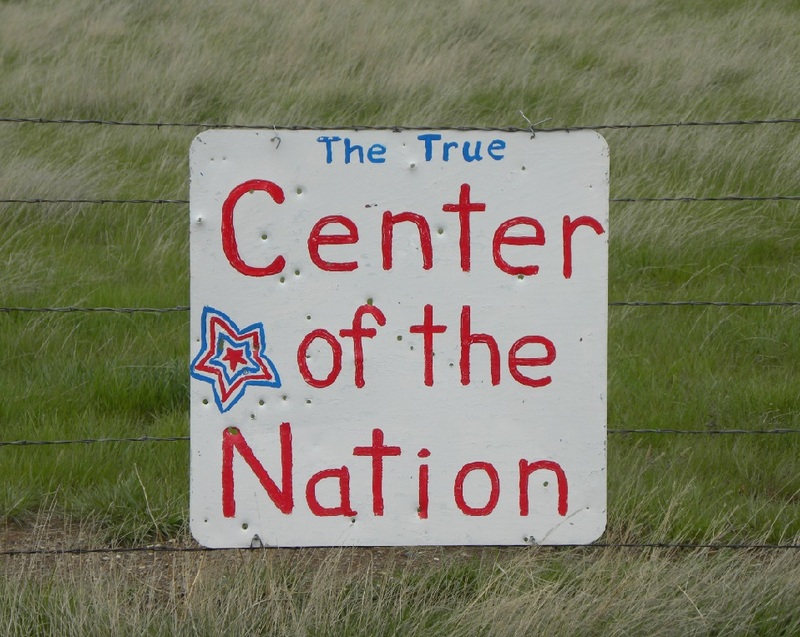 This shift was not made without a considerable amount of protest by those in Kansas, so the monument at Lebanon continues to bear the name as the geographical center of the "Continental United States". 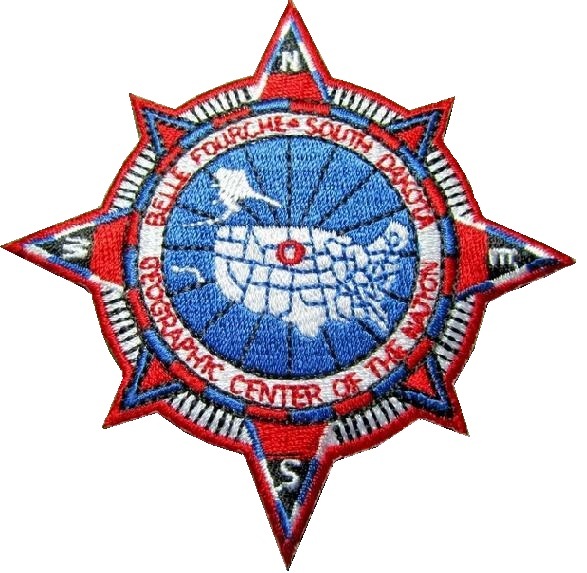 The new location, as determined by the U. S. Coast & Geodetic Survey, was over 20 miles north of Belle Fourche, but there were no other nearby towns for which a name could be associated. 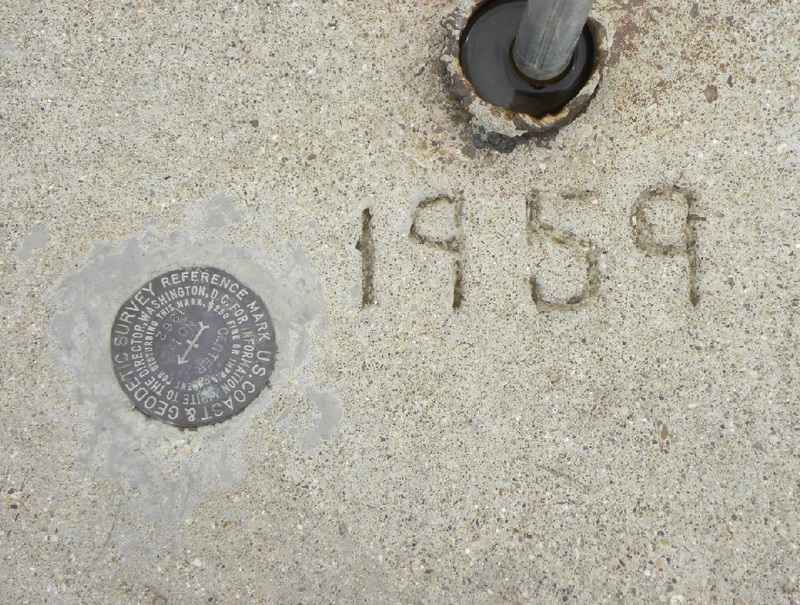 Fortunately, Highway 85 passed near the new site, so a roadside park was built in 1959 that included a picnic area, flag pole, and historical sign. The area set aside for the roadside park was leased by the South Dakota Highway Department who did maintenance such as upkeep and trash removal. 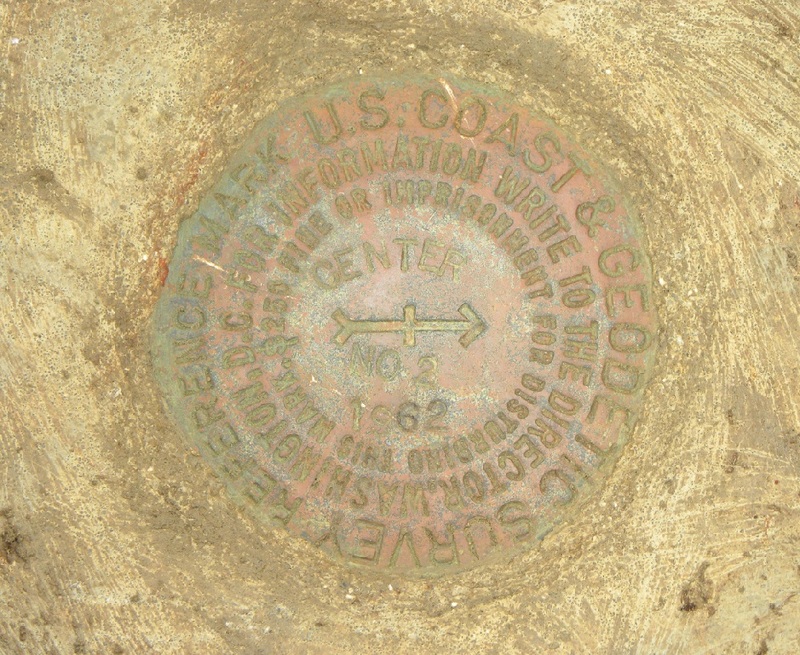 In 1962, the U. S. Coast & Geodetic Survey established a triangulation station monument in the approximate center of the 10-acre park. Two reference marks were also place with Reference mark No. 1 set into the concrete base of the flagpole. many have come to the conclusion that this bronze marker marks the center location. 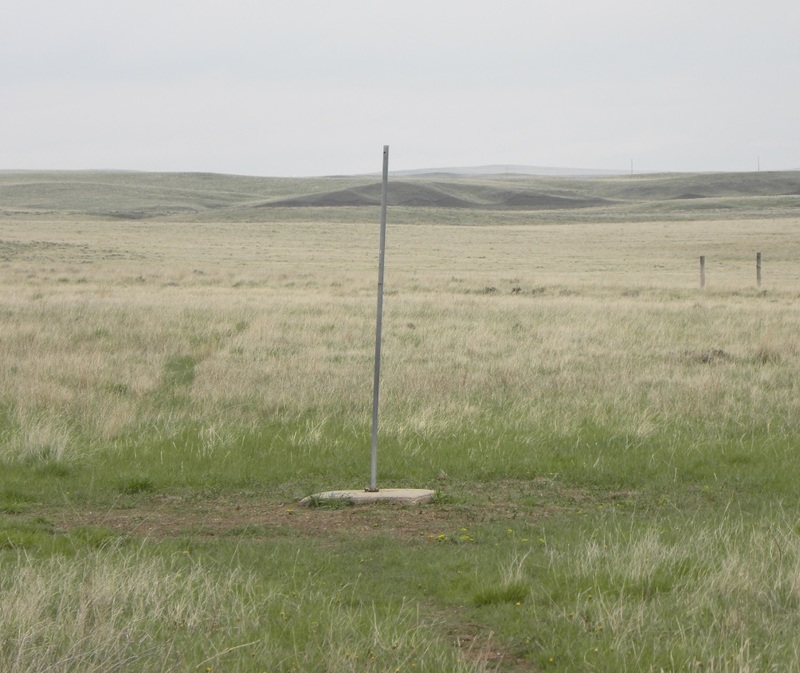 The true location, by geodetic position, is at an unmarked location nearly 400 yards east of the flag pole in a pasture. By 1971, the 10-year lease on the property for the roadside park had expired and the highway department did not seek to renew it. 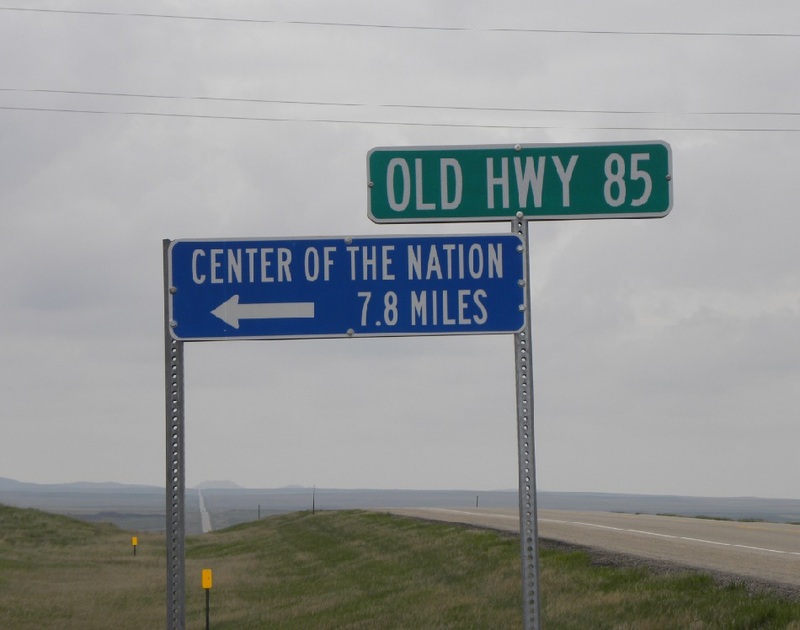 One of the main issues was that Highway 85 had been relocated in 1967 and no longer passed by the road side park. The old asphalt on the original highway had deteriorated to the extent that the county removed it and returned the road to a gravel surface for easier maintenance. A new picnic area was placed along the relocated highway with a sign that stated the true location was to the west at the former roadside park location. Ironically, this new roadside park brought the location closer to the 1958 location that was designated at Castle Rock. This new park was located about one-half mile east of the highway near a place known as "Sheepherders Hill". A long asphalt road brought travelers to the site. 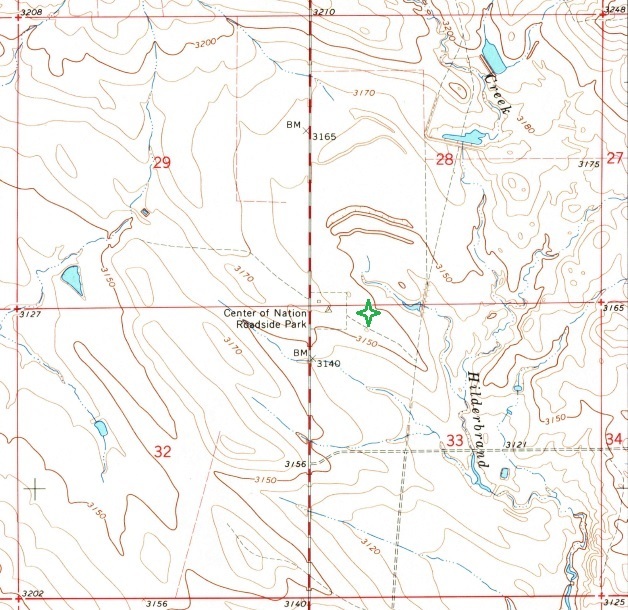 A site at the picnic area indicated that the true geographical center location was 10 miles to the west of the park. This caused considerable confusion to those wanting to actually stand at the geographical location. 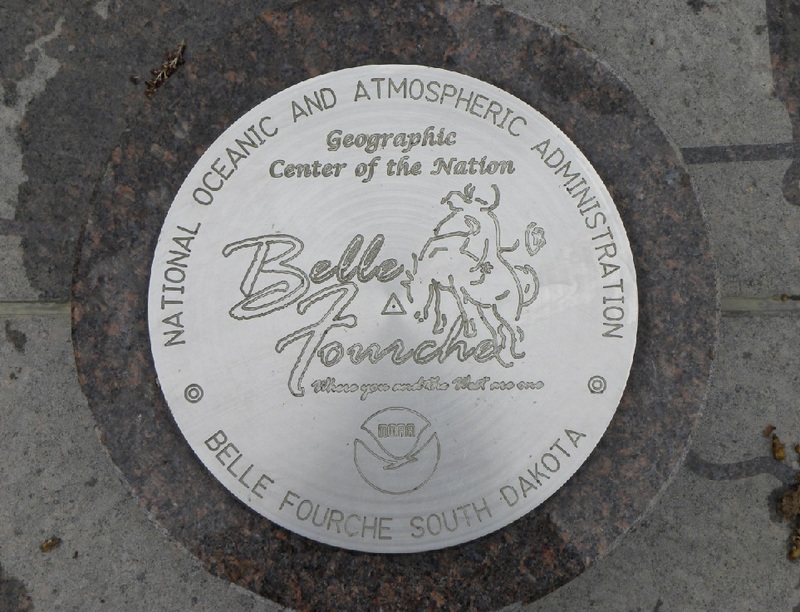 By the summer of 1991, a committee began looking at the idea of having a monument within the city of Belle Fourche which would be better accessible and promote tourism to the area. 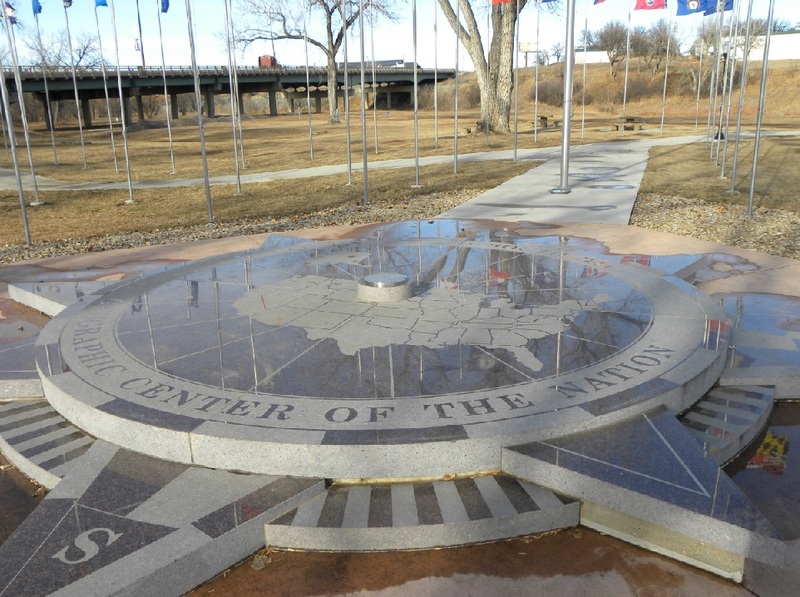 In 2007, the new monument was dedicated in Belle Fourche which included a 21-foot diameter granite compass rose with a 12-inch diameter stainless steel marker in the center provided by the National Geodetic Survey. This monument is symbolic in nature and provides something to view without having to drive the extra 21 miles to the actual location. 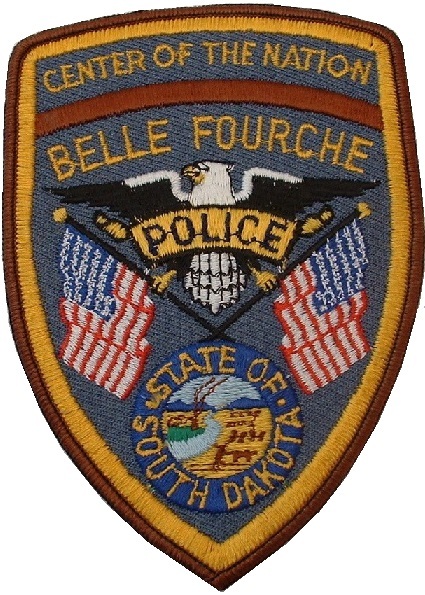 The symbolic monument located in the City of Belle Fourche. 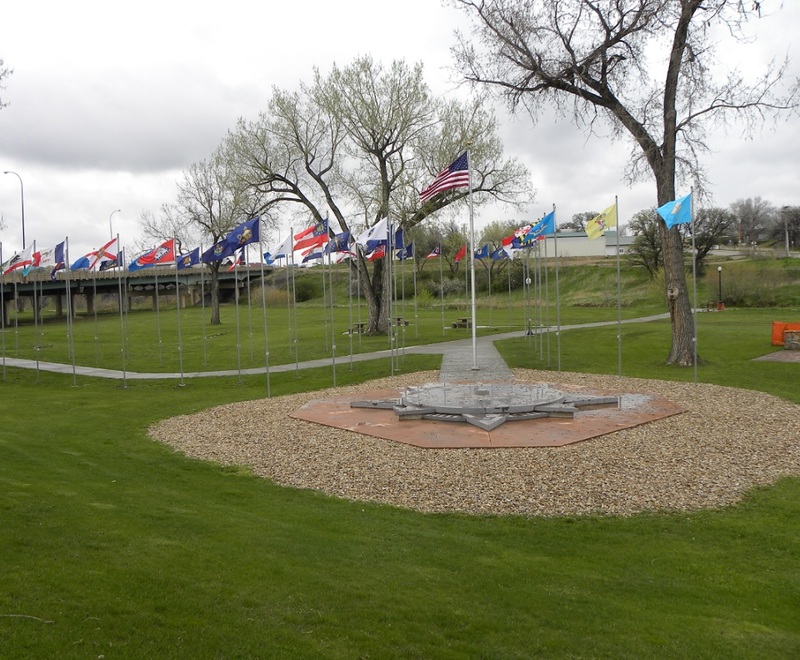 Closer look at the compass rose monument in Belle Fourche made of granite. 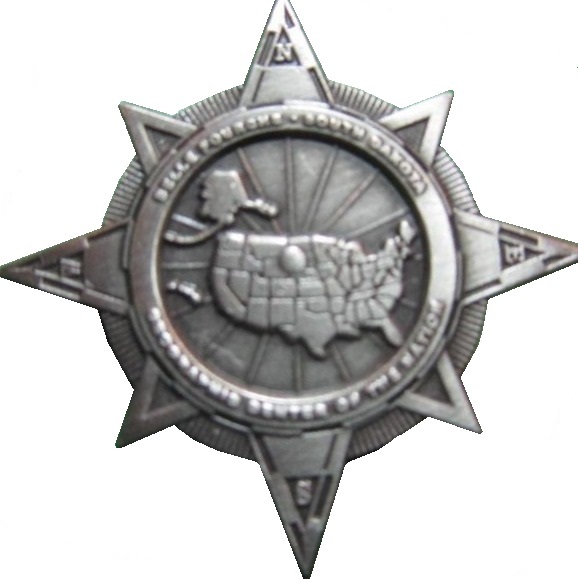 The 12-inch diameter stainless steel monument in the center of the compass rose. 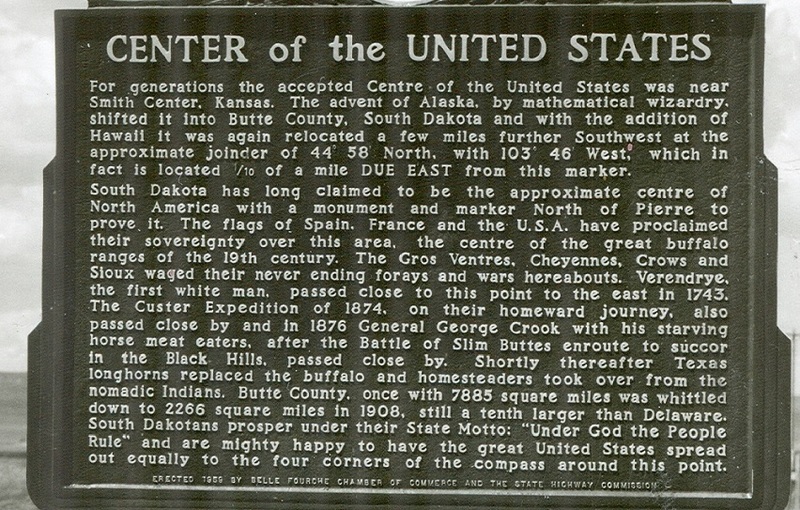 Historical marker sign at the visitor's center at Belle Fourche. Highway sign along Highway 85 north of Belle Fourche showing travelers where to turn to go to the true location. This location is along a gravel road and was formally along old Highway 85 and the site of the original roadside park. The location of the first roadside park along old Highway 85. The green four-pointed star to the east of the park is the approx. 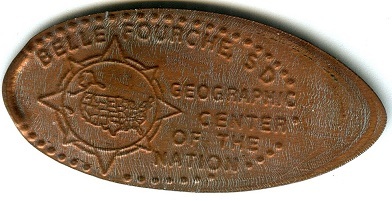 location of the true geographical center. 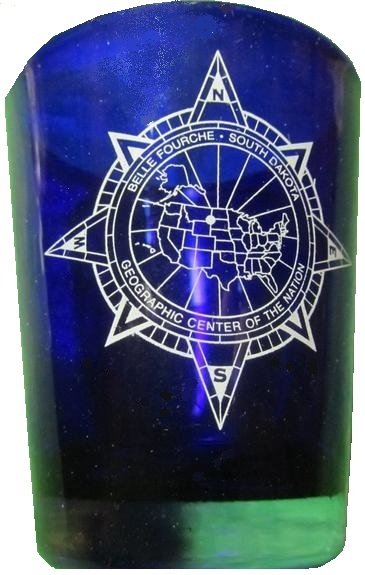 U. S. Geological Survey. 7.5-minute quad sheet. 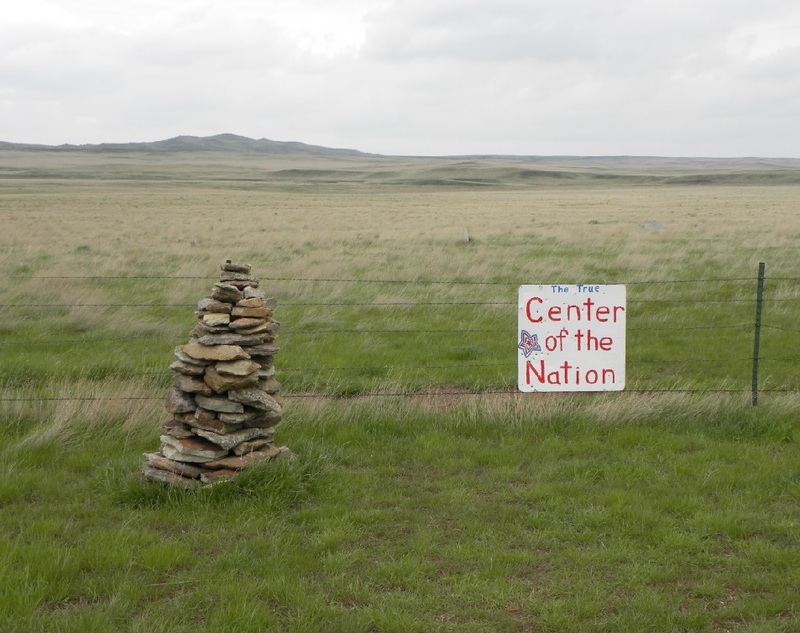 A mound of stones (often mistaken for the center monument) and a sign at the true geographical center location. This is the former location of the first roadside park and is now along a gravel road. Sign on the fence where the first roadside park was once located. 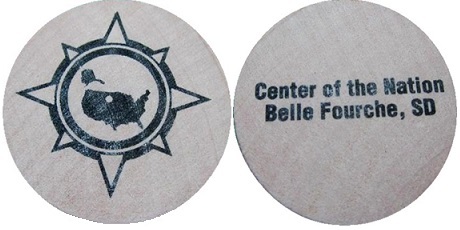 The actual unmarked center location by latitude/longitude position is about 325 yards beyond the fence. A flag pole still stands near the center of the original roadside park. It rarely has a flag because of continual theft. USC&GS Reference Mark No. 1 placed in the concrete base of the flag pole. This bronze disk is often mistaken as being at the exact center location because of its visible location. 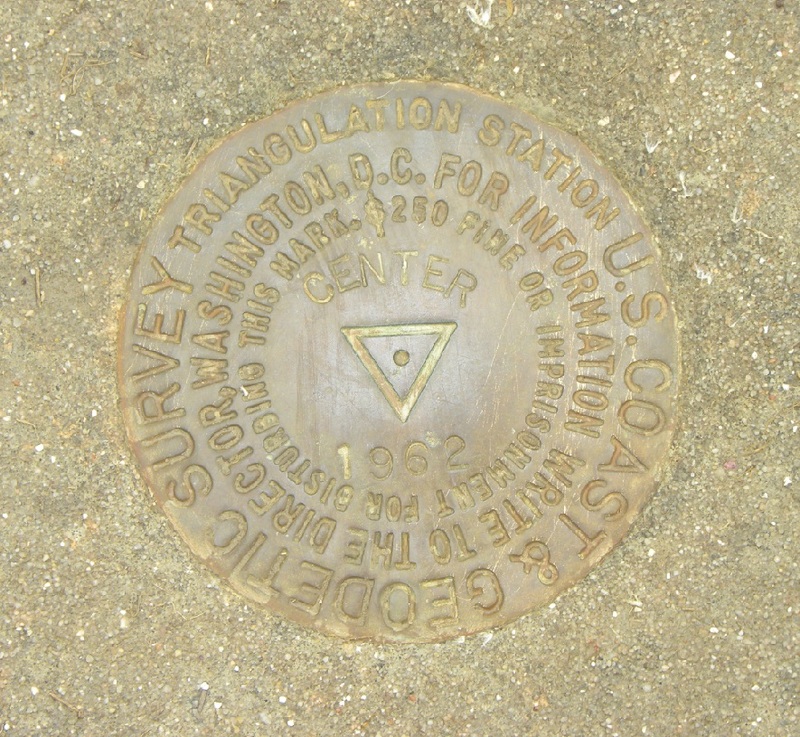 The triangulation station placed by USC&GS in 1962 at the former roadside park. This monument is 1160' west of the true location of the geographical center. USC&GS Reference Mark No. 2. 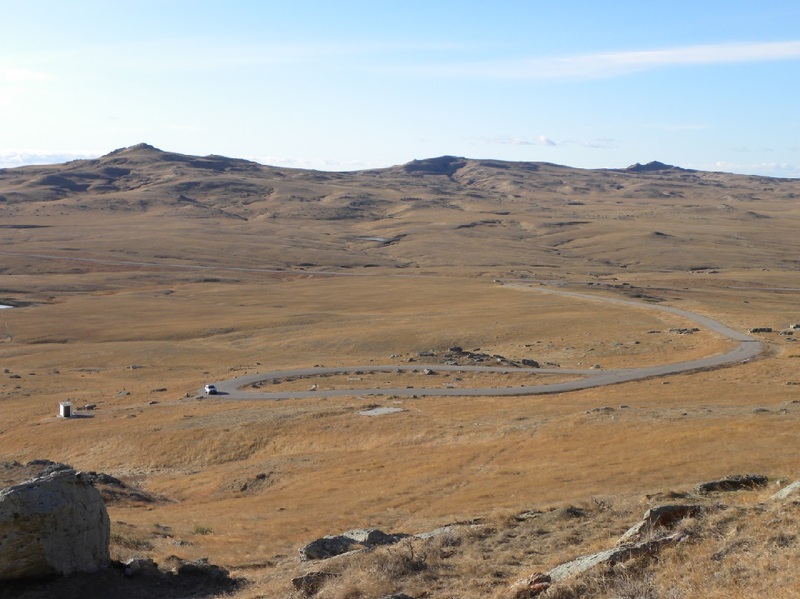 The second roadside park (now closed) was along the relocated Highway 85 ten miles east of the geographical center. 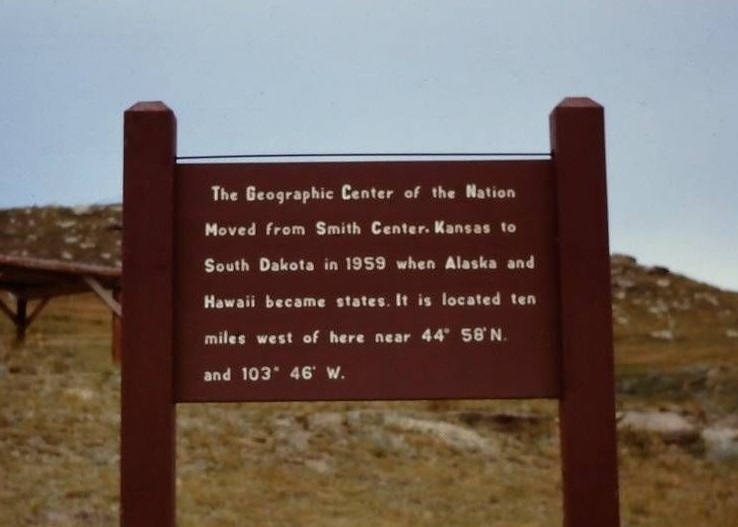 This wooden sign was once located at the second roadside park indicating the geographical center is 10 miles to the west. 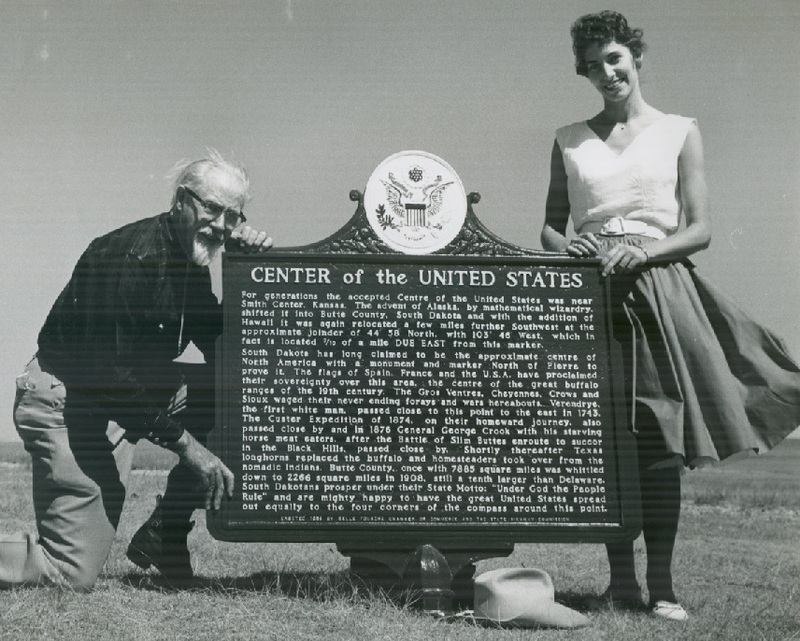 The sign that was placed in 1959 at the newly opened roadside park along old Highway 85. The whereabouts of this sign today is unknown. The wording on the sign that was placed at the first roadside park. Jerry Penry collection. Photo postcard dated 07/05/1963.